With December in full swing, there’s nothing like an awkward office Christmas party to get you in the holiday mood. Thankfully, The Office has gifted us with seven Christmas episodes to help us appreciate the true beatify of office parties. However, like all office parties, not all of them will be great, so here’s a ranking of each The Office Christmas episode from worst to best (in my opinion of course). In my eyes, this episode comes in as the worst The Office Christmas episode produced. With Michael Scott gone, Andy takes over as Santa and aims to make everyone’s Christmas wish come true. Of course, he can’t do that because Erin wishes that Andy’s girlfriend was dead. Of course, the episode is not terrible, but with no Michael Scott and Robert California being present, the episode makes for the worst Christmas themed one of the series. In this episode, Holly returns! Michael has the office organize a “classy” Christmas party just for her. Meanwhile, Jim and Dwight have a prank war in which Jim breaks a window and Dwight terrorizes Jim with snowballs. As you can tell by now, any episode where Michael dresses up as Santa is a great one. In this one, Phyllis is Santa. To protest this, Michael dresses up as Jesus. However, one of the biggest stories of this episode is that Dunder-Mifflin is being sold (eventually, we learn Sabre is the buyer). The early seasons of The Office had some of the best Christmas episodes. This episode involves Michael being dumped by Carol after he photoshops himself into one of her family photos, putting his picture on her ex-husband’s body. A second plot line is the rival Christmas parties being thrown in which we have Pam and Karen versus Angela. Michael buys Ryan an iPod! Michael’s man crush on Ryan is on full display here after he goes several hundred dollars over the spending limit for Christmas gifts. 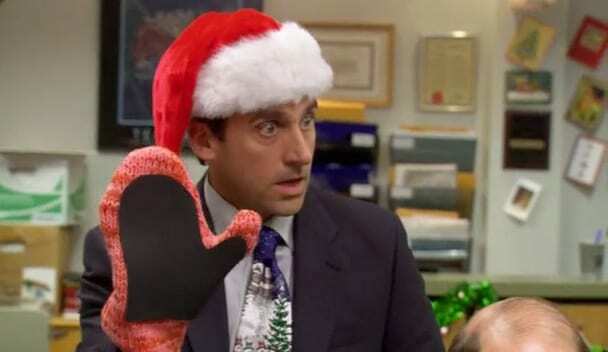 However, after he receives a handmade oven mitt from Phyllis, Michael arranges that everyone plays Yankee Swap. This episode features everything that makes The Office perfect from Michael ruining everyone’s mood, to Dwight wanting to use the teapot Jim got for Pam as a way to clear out his nostrils when he gets an infection. Nothing screams Christmas like profiting off parent’s who wait too long to buy presents for their kids. 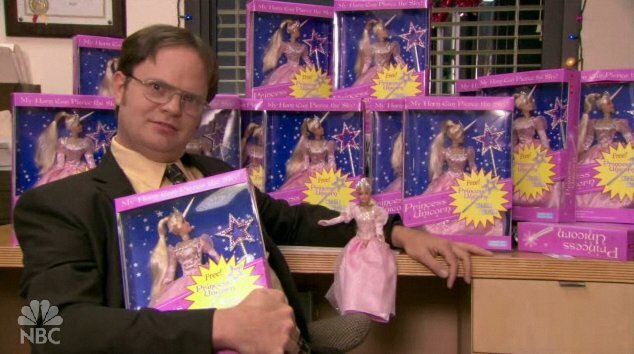 In this episode, Dwight reveals he bought every single “Princess Unicorn” doll he can find and is reselling them at an enormous price. He basically foreshadows toy crazes such as Hatchimals from 2016 in the real world (I wonder who remembers that). The other plot line of the episode is Phyllis throwing a Moroccan themed Christmas party, much to the annoyance of Angela. 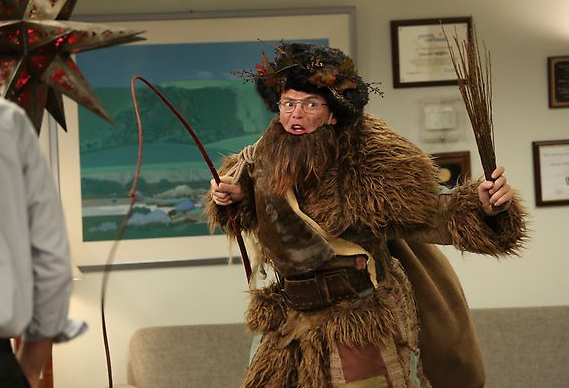 The episode ends with Phyllis revealing.... that Angela is cheating on Andy with Dwight. Of course, Andy is not there to hear the news. 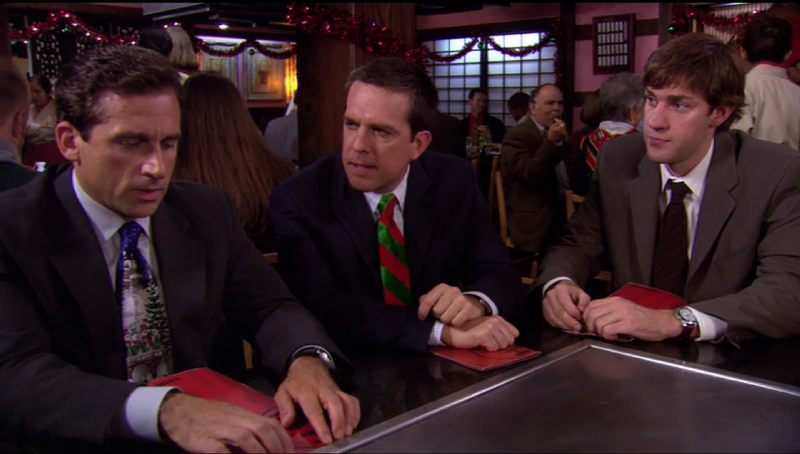 Regardless of which episode is your favorite, “The Office” encapsulates the beauty of any office Christmas party.